Last year’s technology may already be obsolete, but ease of use and reliability will never go out of style. 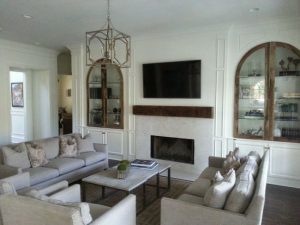 Link Your House combines more than 30 years of Home Automation system design and professional installation with a cutting edge passion for new technology to offer real solutions for our clients. Our mission is to enhance the lifestyle of our customers. We provide Smart Home Technology solutions in life safety, Energy Management, Home Automation and simple to use interfaces through the use of technology. This year, Smart TVs, Apple Devices (iPad/iPhone/Android) and 5G networks will revolutionize the Consumer Electronics industry, and move yesterday’s “future vision” into your living room, your vehicle and your Smart Phone. Our clients include Architects and Designers, Custom Home Builders, DIY’ers and Homeowners. Our Smart Home Solutions can be tailored for small renovations and tight budgets or grand estates where every convenience is a requirement. Our Smart Home solutions are based on relationships with select, blue-chip manufacturers (Elan-NEST-Sonos and many others), and experience gained through numerous Home Technology installations and a true understanding of how to integrate Smart Home electronics to achieve awesome results. Link Your House solutions often include a single, easy to use interface to a wide variety of sub systems found in the home. Interfaces can be permanently installed in walls, roam wirelessly throughout your home or live conveniently on your Smart Phone/Tablet. Special wiring and custom programming is often required, but never a problem for our experienced team of Installers, Technicians and Programmers. 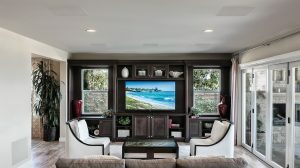 Our knowledge, training and certifications cover the wide range of electronic equipment including Distributed Audio and Video, Digital Media, Control Systems, Smart TV’s, Intercoms, Security & Surveillance Systems, Controlled Lighting, Climate Controls, Wired and Wireless Networking, Multi-Channel Audio, Home Theater, iPad and iPhone control. Link Your House is a proud member of many industry associations, and our quality of service is evidenced by a long and growing list of happy customers and numerous awards and accolades from our industry.